You can’t always be proud of what you like. Hence the term “guilty pleasures.” A few of yours include 90s boy band music, 70s B-movies, and a secret crush on Barbara Bush. 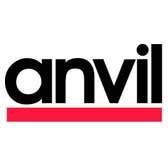 Anvil apparel gives you something to like and to be proud of. Anvil combines ecological responsibility and performance to deliver outstanding quality apparel that feels good in more ways than one. Anvil fabrics are environmentally friendly and offer innovative technology to keep you comfortable while you work. Our selection of Anvil Shirts are preshrunk and feature moisture-wicking, breathable fabrics. The result is work apparel that you’ll find looks as great as it feels. Pleasure sans the guilt. That’s something you could get used to, right? We’ll keep you happy by offering Anvil Shirts that cater to your comfort while supporting corporate responsibility. An excellent combination at an affordable price.